CoolSculpting has been voted “Best Body Treatment” by New Beauty, a magazine that caters to beauty and skincare experts across the country. The non-invasive procedure uses non-surgical cooling technology to reduce fat deposits in unwanted places. CoolSculpting, which has been cleared by the FDA, reduces the amount of fat in the body, especially around the abdomen and flank, without damaging the tissue around it. The procedure is available through a worldwide network of dermatologists and plastic surgeons who specialize in the procedure. Traditional fat reduction techniques involve heated lasers or vacuum suction, which involve surgical cuts and sutures. The CoolSculpting technology works by selectively targeting and freezing unwanted fat cells. Once crystallized, these cells die and are eliminated naturally through your body’s own systems. The fat cells are eliminated by the CoolSculpting procedure ly, and this creates long-lasting results. As CoolSculpting experts, Sensational Skin is pleased to offer the most advanced non-surgical fat reduction treatments available. Treatment plans are specially developed for each patient, and the procedure can be done while you relax in one of our specialized CoolSculpting suites with healthy snacks and a movie. Many of our patients are surprised at how easy the process is, and may start to see a difference in as little as two to three weeks.  Contact Sensational Skin today to discuss what CoolSculpting can do for you.